For pricing and more information on this title, call us at 1-877-394-8826. Discounts may be available to customers that subscribe to both online research and print products. 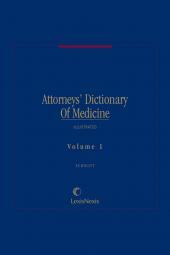 The most comprehensive and authoritative medical reference for attorneys. You'll find detailed, hard to find information on hundreds of injuries and diseases, complete with diagnosis, treatment, prognosis, and medical-legal annotations. Written specifically for the practicing attorney, this valuable tool will help you confidently prepare and present your case. prepare complex cases, evaluate injuries and disabilities, present evidence to jurors in language they can understand, and effectively examine and cross-examine medical witnesses. 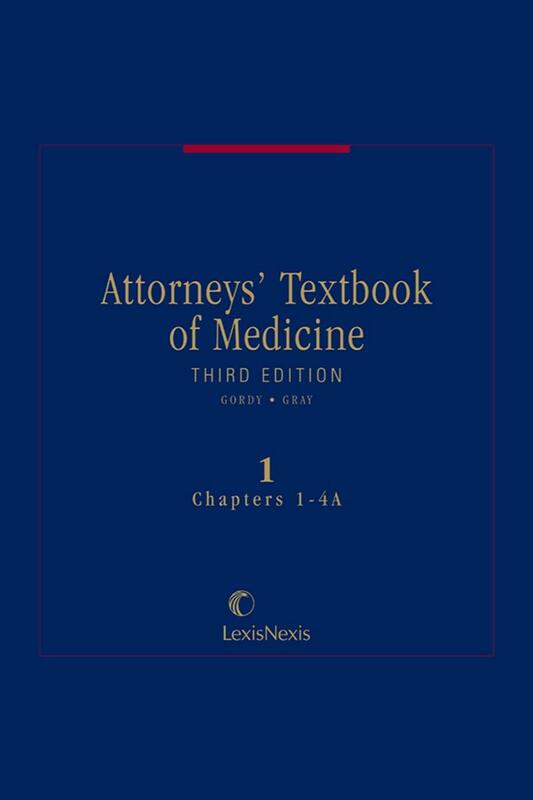 Also available on CD-ROM and on the Lexis Advance service. 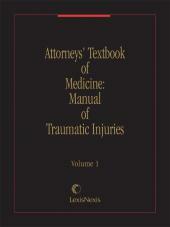 Original authors: Roscoe N. Gray, M.D. 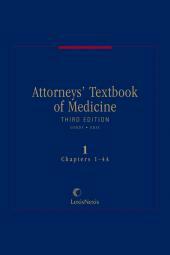 ; Louise J. Gordy, M.D., LL.B.